2017 Lowe 1467 Utility V The Lowe Utility-V 1467 delivers ultimate utility and top-notch value, featuring all-welded construction backed by the renowned Lowe Lifetime Limited Warranty. You can count on the 1467 to provide more usable space, better stability running and fishing, and a smooth, drier ride. Important features include a white painted exterior with a champagne painted interior, all-welded hull seams, a heavy-duty extruded center keel with 2 formed in bottom keels, stern corner castings with handles and bow casting with handle, 2 full bench seats and a split stern seat. Please note: This boat model may or may not be in-stock. A Nationally Advertised Price, if listed, may change without notice or include accessories not fully described herein. Please contact your local, authorized dealer for exact details on model availability and package pricing. 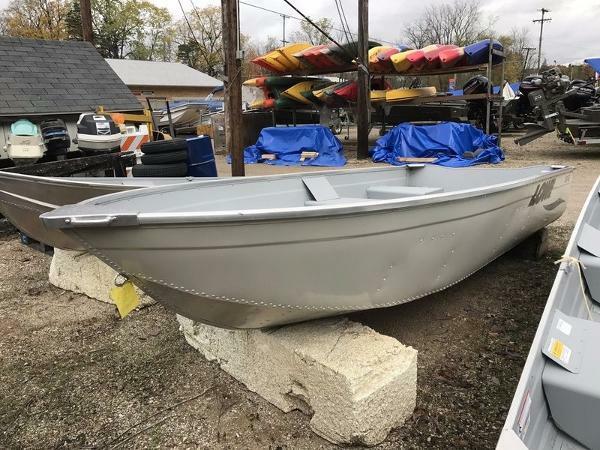 2015 Lowe 1467 Utility V 2015 Lowe Boats Utility 1467 Dependable Deep-V Boats That Are Economical To Own, Inexpensive to Power Lowe Utility-V models are synonymous with high-quality, value-packed and rugged boats with a heritage dating back to 1946. From car topper fish boats to the perfect lake cabin accessory, our versatile Utility-V line-up offers a full-range of sizes and choices. 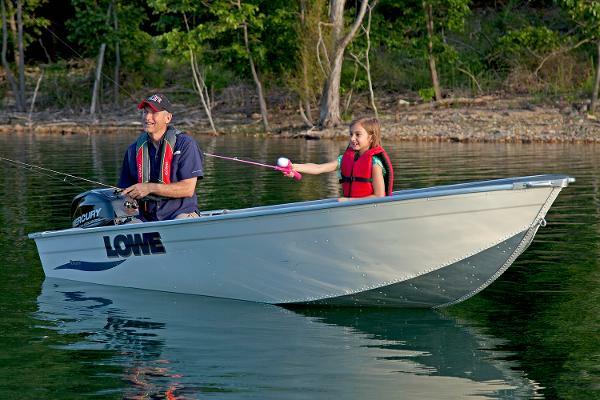 Quality construction, reliable performance and serious fishability give Lowe Utility-Vs the edge over other value-priced v-designs, and feature all-welded hull seams that are painted with durable acrylic enamel. The Lowe Utility-V model line, with its no-frills interiors, carry on the long-standing tradition of work em hard and put em away wet. No matter which Utility-V you choose, you can count on more useable space, better stability running and fishing, and a smooth, drier ride. To ensure years of trouble-free operation, all Utility-Vs feature all-welded construction backed by our Lifetime Limited Warranty. For serious fun or serious work, you cant beat a super-tough, reliable Lowe Utility-V. Choose a Utility Boat model to the right for more details. For ultimate utility and top-notch value, look no further than the all new, 2015 V1467T. Featuring all-welded construction backed by the renowned Lowe Lifetime Limited Warranty. You can count on the 1467 to provide more usable space, better stability running and fishing, and a smooth, drier ride Standard package includes your choice of Mercury® outboard (up to the boats maximum rated hp) and an optional custom-fit Lowe trailer selection. Important features include: Oyster White painted exterior with a chmpagne painted interior, all-welded hull seams, heavy-duty extruded center keel with 2 formed in bottom keels, formed in spray rails, beefy traverse and longitudinal ribs, aluminum clad transom with three heavy-duty formed transom knees, extruded gunnels, extruded bow stem, stern corner castings with handles and bow casting with handle, 2 full bench seats and a split stern seat. Key options include a side console w/ steering wheel and your choice of a custom-fit Lowe painted or galvanized bunk trailer. 2016 Lowe 1467 Utility V The Lowe Utility-V 1467 delivers ultimate utility and top-notch value, featuring all-welded construction backed by the renowned Lowe Lifetime Limited Warranty. You can count on the 1467 to provide more usable space, better stability running and fishing, and a smooth, drier ride. Important features include a white painted exterior with a champagne painted interior, all-welded hull seams, a heavy-duty extruded center keel with 2 formed in bottom keels, stern corner castings with handles and bow casting with handle, 2 full bench seats and a split stern seat. Please note: This boat model may or may not be in-stock. A Nationally Advertised Price, if listed, may change without notice or include accessories not fully described herein. Please contact your local, authorized dealer for exact details on model availability and package pricing. 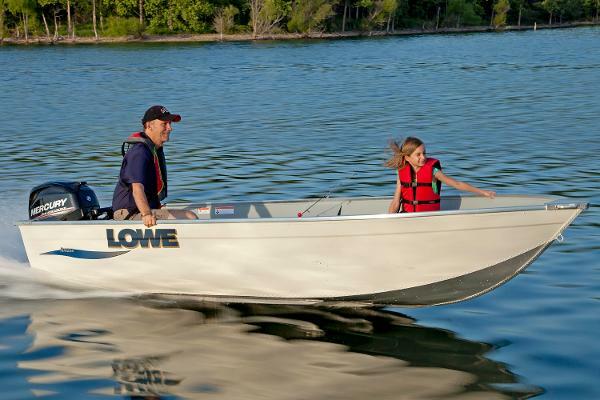 2015 Lowe 1467 Utility V This boat model may or may not be in-stock. Please contact your local, authorized dealer for more information. For ultimate utility and top-notch value, look no further than the V1467T. Featuring all-welded construction backed by the renowned Lowe Lifetime Limited Warranty. You can count on the 1467 to provide more usable space, better stability running and fishing, and a smooth, drier ride. Standard package includes your choice of Mercury® outboard (up to the boat’s maximum rated hp) and an optional custom-fit Lowe trailer selection. Important features include: natural aluminum exterior with a tan painted interior, all-welded hull seams, heavy-duty extruded center keel with 2 formed in bottom keels, formed in spray rails, beefy traverse and longitudinal ribs, aluminum clad transom with three heavy-duty formed transom knees, extruded gunnels, extruded bow stem, stern corner castings with handles and bow casting with handle, oar locks and 4 full bench seats.